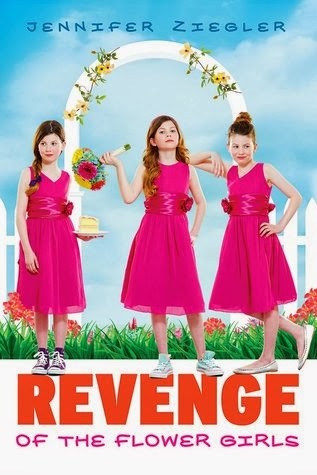 A hilarious book about the lengths that three sisters go to to stop their eldest sister’s wedding. Dawn, Darby, and Delaney are triplets. Their older sister, Lily is getting married to someone they don’t like. Burton, Lily’s fiancee, is boring, unattractive, and doesn’t know how to keep Lily happy. The three of them plot to get rid of Burton because they think that Lily is rushing into this marriage. Their first few tries end up in everyone getting mad at them but these three never give up. One of their plans involves bringing Lily’s old boyfriend, Alex, into the picture. They tell Alex to “accidentally” burn or shred the official wedding documents but Alex isn’t sure about this plan because he thinks it’s illegal so he tells the three sisters that he can’t help them. Dawn, Darby, and Delaney are very disappointed but then they come up with one final plan. The wedding. Lily can’t find any place to have the wedding so the wedding is taking place at their house. The triplets know exactly how to stop it from happening.